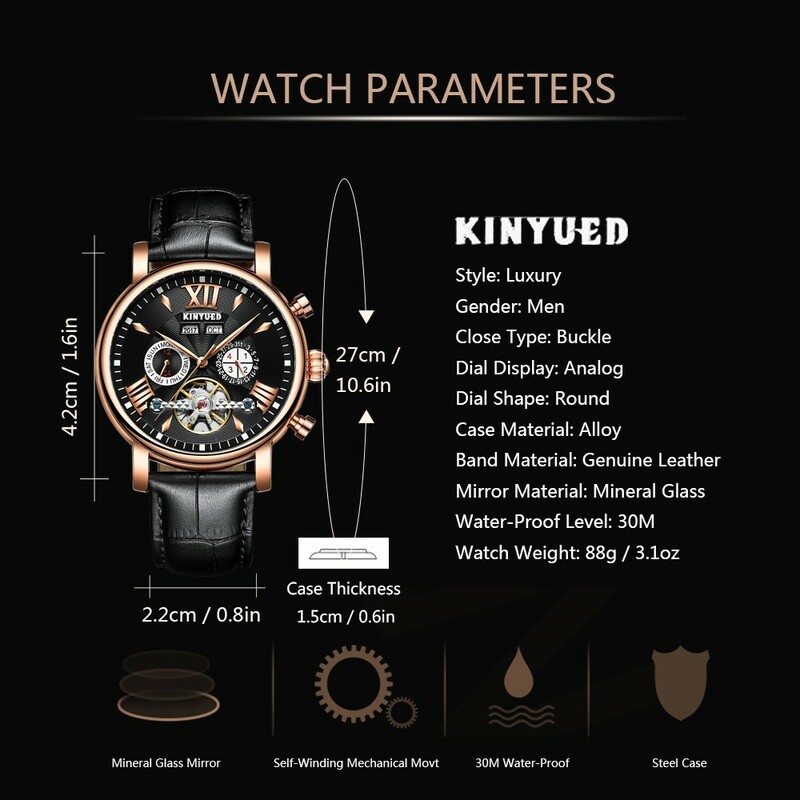 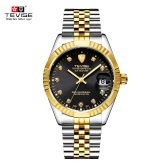 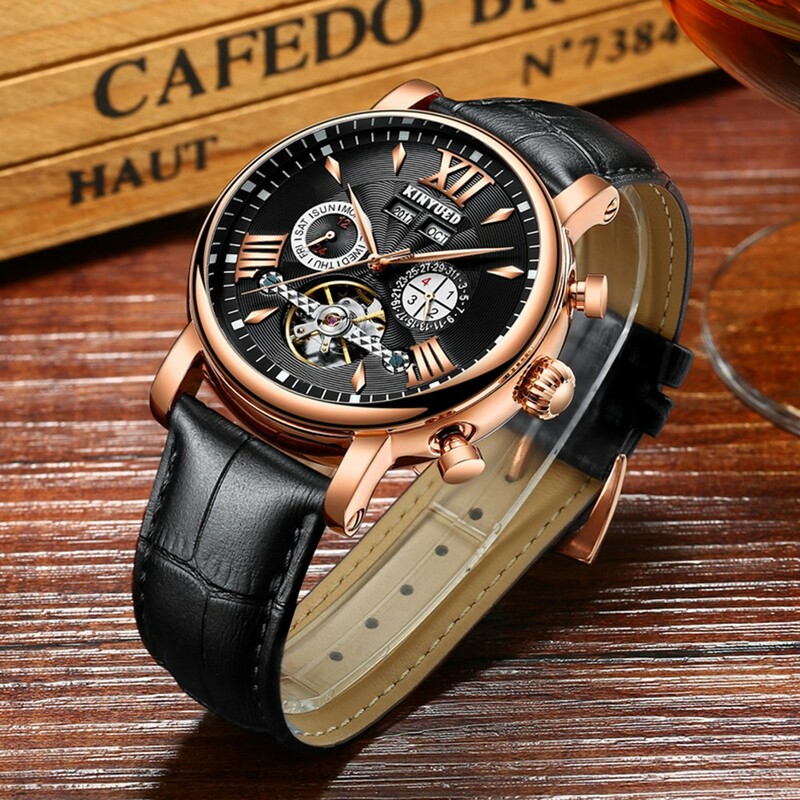 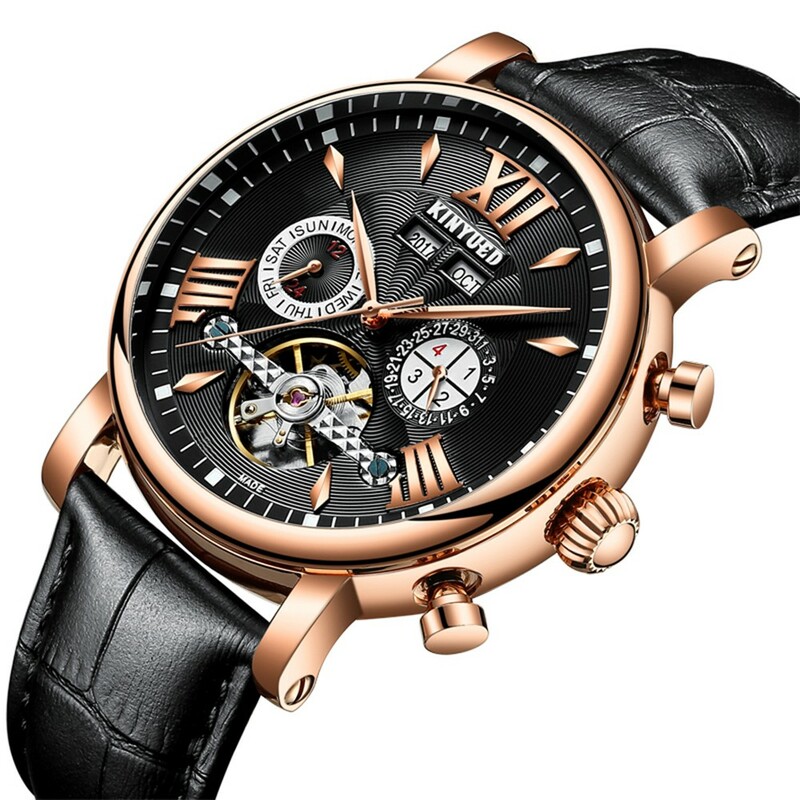 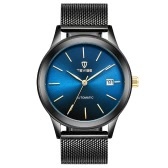 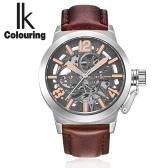 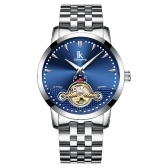 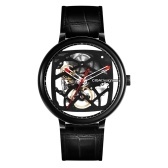 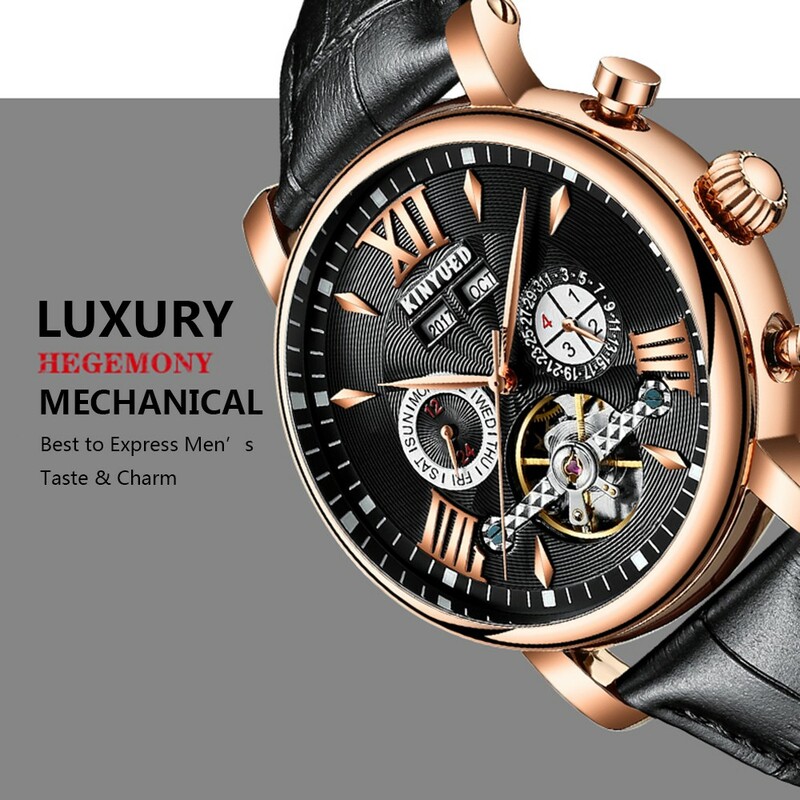 This is a luxury mechanical watch for men to wear in any occasion. 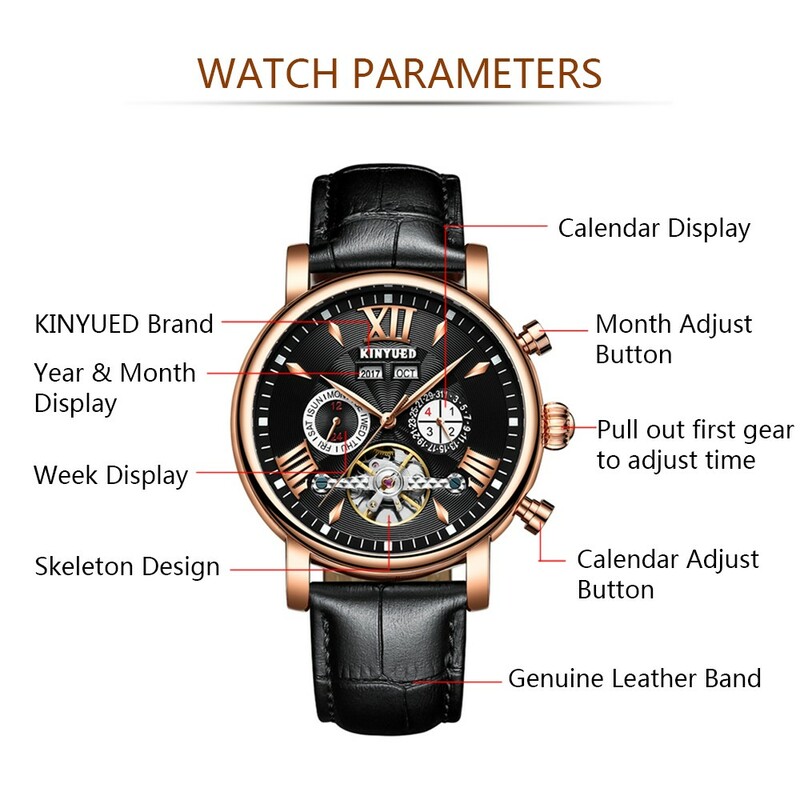 Fashion watch face with skeleton dial and sub-dials: year/month/week/date display. 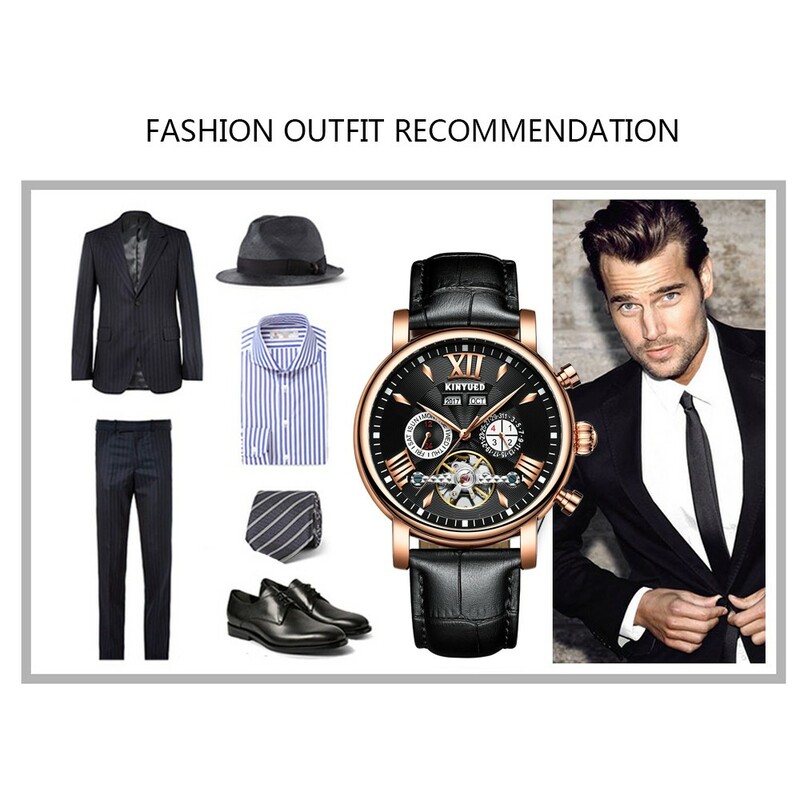 All match watch to pair with any cloth and show your taste & charm. 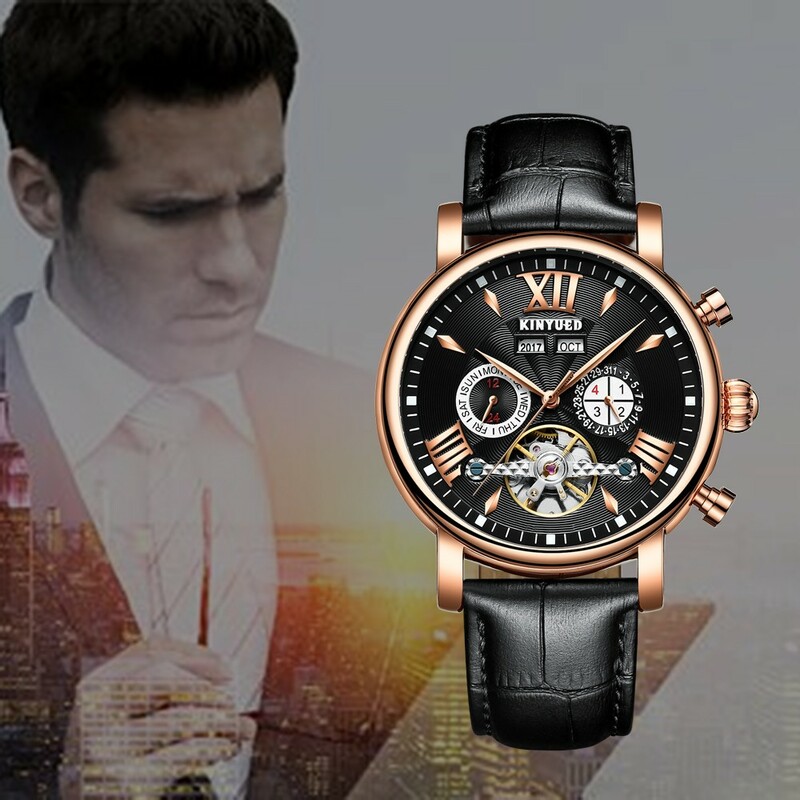 Don't hesitate to own it! 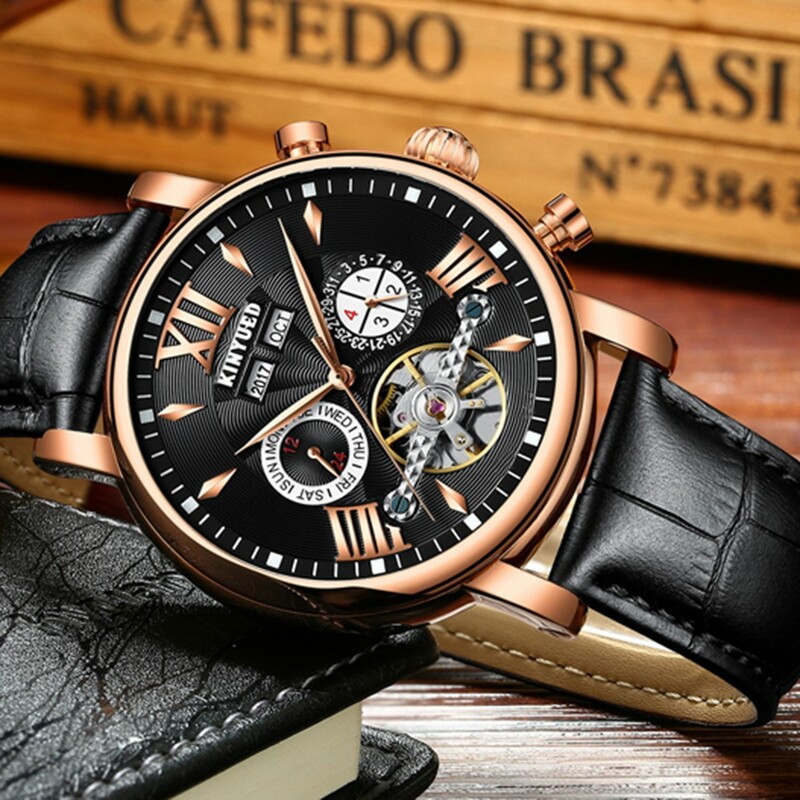 Vintage scale, cool skeleton watch face. 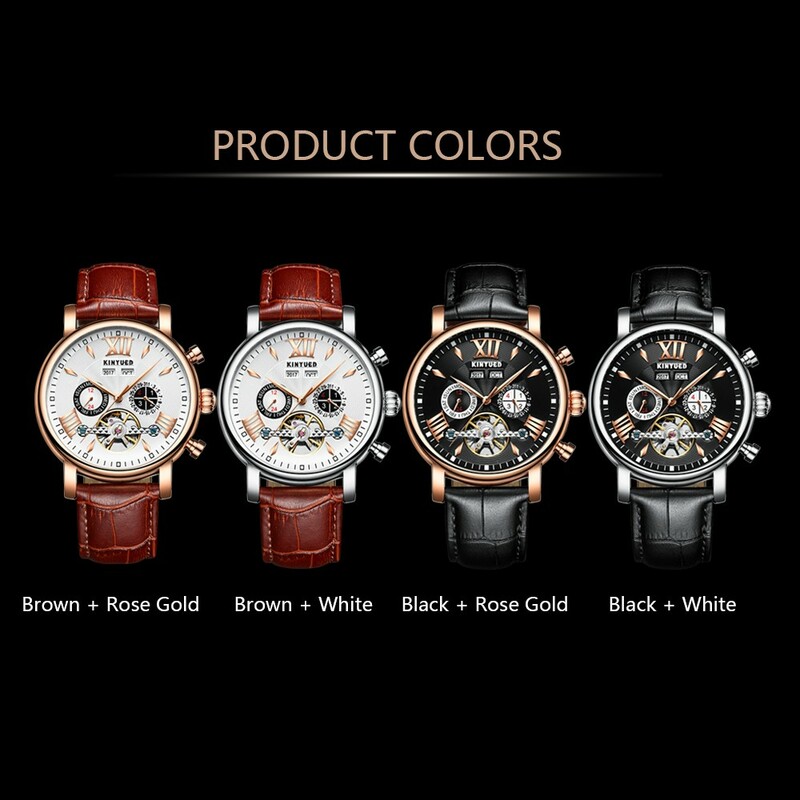 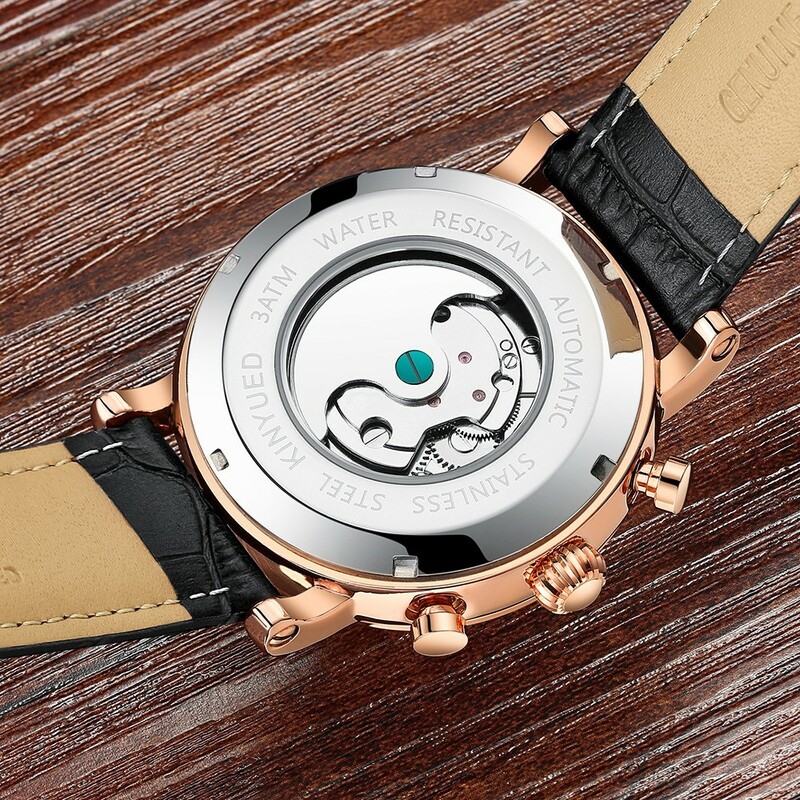 Self-winding mechanical movement, no need of battery. 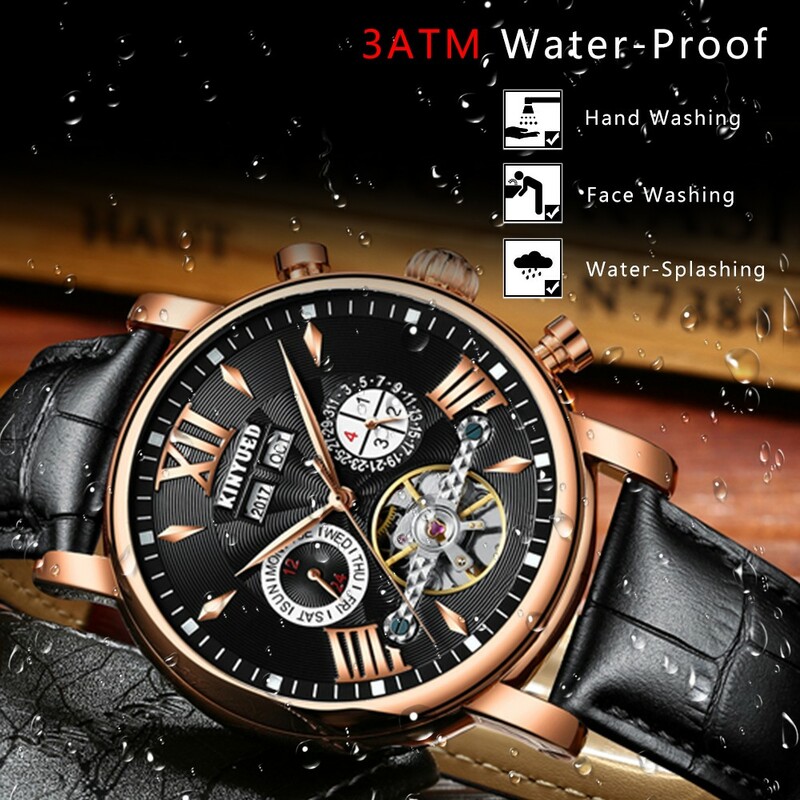 It's 30m daily water-resistant, not for swimming, showering. 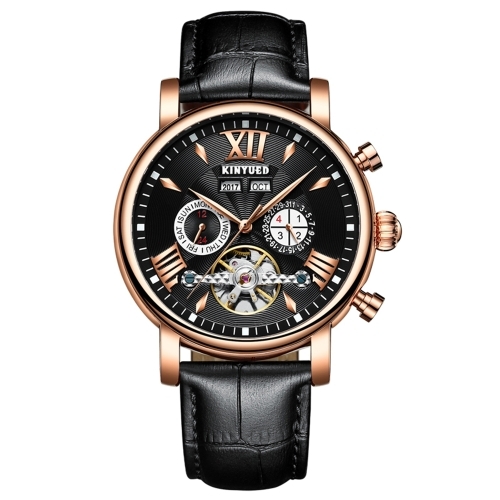 Well packaged, good gift idea.